The Lions Club of Winchelsea wishes visitors to our website and visitors to our town a warm welcome. 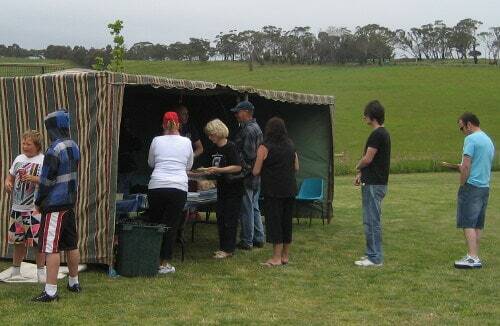 For larger functions, the Lions “Chuck Wagon” serves our community at Clearing Sales, Gun Club shoots, business occasions, Xmas Carols, and several catering jobs where requested to assist. Contact Lion Nev Mawson on 0433 387241. 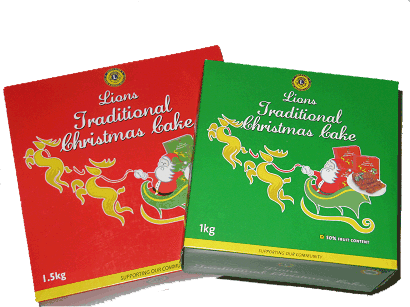 Lions Xmas Cakes are popular in season around Spring to Christmas, and Maguires Butchers offer their shop as our main selling place, in Winchelsea’s Main Street. Winchelsea Lions Club’s ongoing Paper Recycling Project regularly yields significant proceeds – this fundraiser is a valuable contribution to the Club’s income, pooled for use for a range of community benefits on a local, regional and national basis. 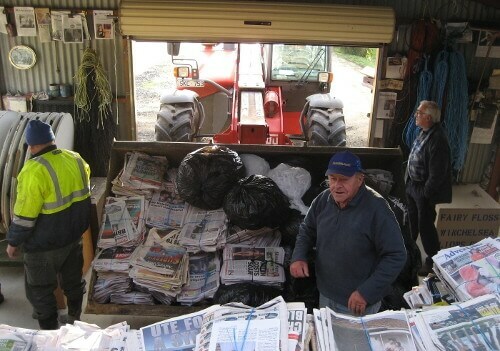 Under the guidance of Lions Les Hunter and David Yandell, old newspapers and magazines are collected in the shed next to the Winchelsea Senior Citizens building (in Harding Street) and sorted into bundles. About every other month, all this recyclable paper is loaded into a large truck and sent off to Colac for recycling. 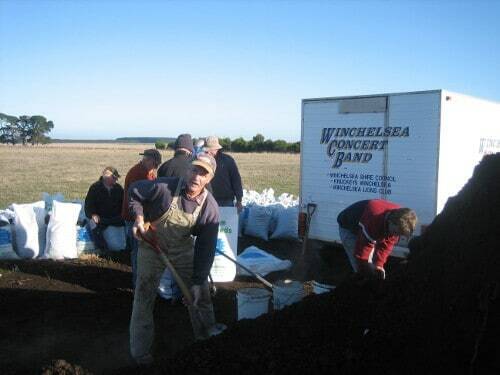 The Winchelsea Lions Club receives a payment per tonne collected, the amount of which varies according to market rates. Community support for the Paper Recycling Project has consistently been excellent. All Winchelsea residents are encouraged to save up their newspapers and magazines (if possible tied in bundles using string) and to deposit them in the paper shed for recycling. The shed can be found at the back left corner of the Senior Citizen’s Club carpark. The Council does provide recycling bins, however by giving the paper to the Lions Club, the local community-service organisation is able to raise additional funds for local use. Accordingly, taking recycling paper to the shed is an easy way to make a local community contribution! In 2016, over $40,000 was raised, and a substational donation was made to Hesse Rural Health for a “Room of the Pride”. 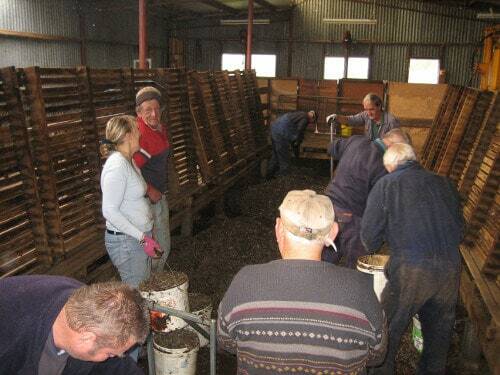 The Lions Club of Winchelsea runs an ongoing fundraising activity of selling sheep manure. 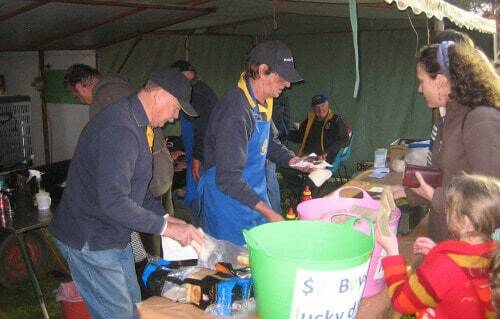 Gathered & collected by Lions members, bagged by Lions members, and placed by the side of the road for sale by Lions members, it is a highly effective fundraiser generating welcome funds for the Club to put to good use. 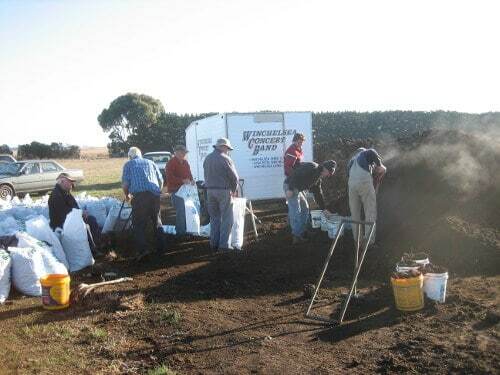 The sheep manure is highly popular for gardening, adding nutrients and body to the soil. The Youth of the Year Quest is a community project designed to encourage, foster and develop leadership qualities in young Australians. More than 2,000 people compete in the Quest each year, with winners making their way through zone, region, district, state and national finals. 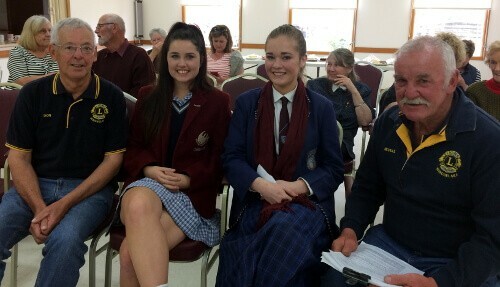 In the afternoon of the Winchelsea Club Final, prior to a meal and fellowship at the Winchelsea Senior Citizens rooms, the contestants are interviewed by three judges. The Public Speaking segment proceeds from 7:30pm with Lions members, relatives & supporters and general public in attendance. The overall winner represents Winchelsea Lions Club at the Region judging held in Colac. The experience and memory of the time at Winchelsea will for all contestants be an enrichment for their future education.